Note: This is a Cinquain. A cinquain poem is a verse of 5 lines that do not rhyme. The 5 lines follow the syllable count: 2-4-6-8-2. It was created by Adelaide Crapsey, an American poet. Hadn't heard of this form before. I loved how you used it. Wow ... lovely poem. This is the first time I've heard of the cinquain poem. Going to explore it more. It is most important that that little crack exists. Nicely done Cinquain. Wow, learnt a new form of poetry just now. 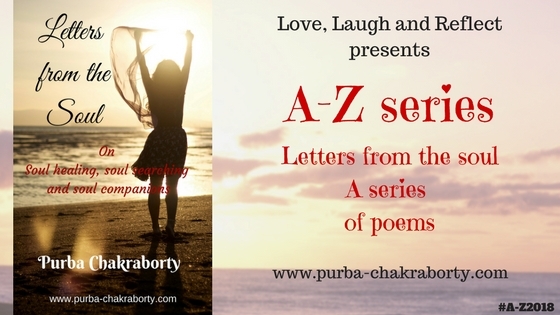 Good one Purba! Nice poem, Purba. Agree that when the heart is cracked, all one needs is a ray of light and hope to progress. Wow! loved the style of the poem. And the poem is beautiful indeed. Very nice! I, too, had never heard of the cinquain form before now. Thank you for sharing! Brilliantly said, Purba, that there's no happiness without sorrow. So lovely, this is. Beautifully written!